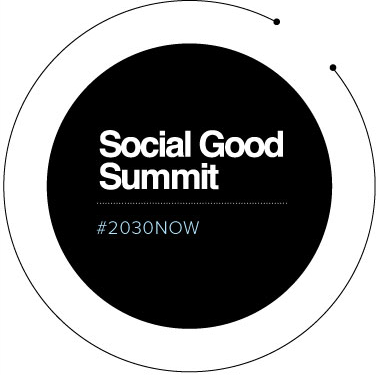 At this week's Social Good Summit in New York, Samantha Power, the new U.S. Ambassador to the United Nations, told conferees that governments around the world are increasingly cracking down on Web activists "and it's time to sound the alarm." She said social media have the potential to counteract these forces against Internet freedom, but urged young conferees to "team up to make your voices heard." Q: Your entire career has been about the importance of human rights. Why do those things matter so much? I was very moved when I was in college, when I saw for the first time the footage from Tiananmen Square. I was working as a intern in the sports department of the CBS affiliate in Atlanta at the time, and I was taking notes on the Braves game and I looked up, and there was Tiananmen and the crushing of this democratic movement and moment. So that kind of got in my head, looking at what the citizens in China were trying to do for their country, for their children and their grandchildren. And then when I graduated from college, I was struck by images in The New York Times of emaciated men behind barbed wire, again in Europe—just 50 years after the Holocaust. It was a time when the Bosnian Serbs were cracking down brutally, committing ethnic cleansing, and I thought there has got to be something we can do about this. Q: Are people more informed or less informed in a world of social technologies? Well, as tech evolves, it feels like people are alert to the risk of seeing and hearing only what they want to see and hear and not, necessarily, what they need to be discovering, serendipitously. On one hand, we've become more insulated and cocooned, and other the other hand, more and more people are trying to seek out greater connections. There are inconvenient topics—topics and issues we wouldn't voluntarily really seek out because they're depressing or disempowering because of the magnitude of the badness. I think a lot of us have those emotions. Syria is the latest example of that. It's just so heartbreaking, and you can imagine why young people might not want to spend a lot of time watching videos of people getting gassed by chemical weapons. But I think technology also can be a force for good, a dream. It's a force multiplier like nothing we've seen. Q: Is social media and communication technology fundamentally pro- democracy and civil society, or is it neutral? We've got examples on both sides of the ledger. Governments are growing more and more sophisticated at shutting down the Internet, blocking, filtering, using technology to trace human rights activists. There was that devastating incident not long ago in Homs, Syria, where Marie Colvin, one of the greatest war correspondents of the last century was we think, tracked down by the coordinates of her cellphone and then struck by the Assad regime and killed. I just came from a meeting with civil society activists to talk about the use of technologies to impede rather than expand democratic accountability and civic activism. This one young Syrian activist was describing that Assad has used SCUD missiles and fired them in Syria, on his own people. He said it takes 8- to 15 minutes for these missiles to land from the time of launch. Young activists in Syria now have people organized to text ahead if they see anything in the launch phase, then text the coordinates of that launcher from where that launch occurred, which helps activists predict the missiles' path. Texters then send their messages into a central hub, and people can see where this SCUD is likely to land, and when—so they can get out of the way. It's an example of the creativity and ways in which people are using digital technology. And here's another example. I traveled with the President a couple of years ago, to India, and there's this amazing web site there called "I Paid a Bribe" and it's people sharing their personal stories around the indignity of having to have paid a bribe. Social media is good so far at creating communities of concern in this way. The Satellite Sentinel Project, which George Clooney and John Prendergast are using, gets companies to donate satellite time as resources so activists can document mass graves in parts of the world that are not necessarily accessible to humanitarian organizations. So technology has an upside and a downside, and it's all about how you use it. Q: To what extent is government responsible? What is the role of the civilian and what is the role of government? I think it depends on the situation. Citizens have the capacity, as they did in Darfur, to put an issue on the map. Young people and people in the faith community made Darfur matter in Washington and did impressive fundraising using tech. Once people get moved by what they see or what they're exposed to, social media can be a great way to pool resources and get them to people in need. ...We were talking a minute ago about Twitter. I just joined but already I'm seeing the power of it. In the old days, you'd almost have to stage a press conference to get your voice out there, even as the UN Ambassador. But not anymore. Q: Are you increasingly using Twitter to break news and decisions on social media? A: I think that because you can move information so quickly, it's very easy to do it that way. But I also think that all forms of media still do remain relevant. Sometimes doing things so quickly is not always the way to get out the nuances of a policy, which is challenging anyway—especially on issues that are as complicated as many we work on. But when it comes to putting pressure on a government that has a mission here or an embassy there, you can use social media to connect with people in European countries or in African countries and have them raise issues that are critical. There are ways to build coalitions, particularly around the fate of civil society and the prospects for human rights, that just didn't exist when we were relying solely on the mainstream media. Q: How are global activists engaging with tech to get their voices heard? Tech is a major piece of how they connect with one another but this crackdown on civil society by many governments around the world is very sad, whether it's shutting down the Internet or blocking Twitter or blocking Facebook or, just as egregiously, using plain old-fashioned laws and regulations to restrict foreign funding to NGOs or to inhibit the space that activists have to protest publicly, or to crack down on their freedom to associate. So tech is not the only problem, and it's not the only solution. this strangulation by regulation can also be very effective. We used to talk in development and in human rights about best practices, about how we can push for best practices. It's now clear that a lot of these governments are now sharing worst practices on how to crack down on civil society, how to use the tools of tech to impede the kind of connectivity that can occur virtually, even as they close off public spaces and public squares. They're migrating those kinds of practices that they've used over time to the Internet, and to the social media space, and we're pushing governments in our meetings now to bring civil society back to the table. Q: How can individuals get involved? What actions can they take? A: We've seen activists in Haiti, for example, famously creating crisis maps and crowd-sourcing, where you could document who was buried where by virtue of people using technology to track them. We've seen tech being used in the U.S. and also in Kenya, during elections, to stop fraud. These kinds of things are very important. Tech also is a great feedback loop. Now that I'm on Twitter, if I give a speech and people are telling me that it didn't make sense when I said something about this, or didn't square with what I'd earlier said about that, it's not aways pleasant reading but it's important to hear. I don't think that leaders before these tools were able to have such direct and rapid sharing with the people they service. This is important. Q: Finally, what's the outlook for civil society in the future, by 2030? I think right now the trend lines are not positive. The truth of the matter is that many governments, in the last five years, have become more sophisticated in their response to cause-wired movements by the people to get their voices heard. More than 40 governments now are restricting freedom of speech and association and religion—the basic stuff. These governments are sharing worst practices but they are doing so because they are aware of the explosion in civil society and of the power of social media. Who will win going forward? I've always been on the citizens' side but right now, a crackdown on civil society is a pattern across the globe. It's time to sound the alarm. If we can get other like-minded governments and citizens and NGOs and foundations to team up to contest this worrying trend, then it won't be a close call between anachronistic governments trying to crack down on basic human dignity and the power of the people. History shows who's going to win that one.